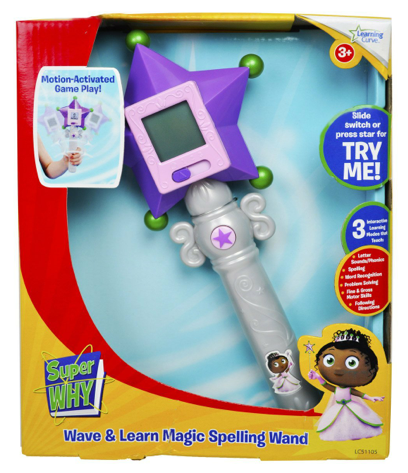 Super Why – Wave and Learn Magic Spelling Wand only $8.99! What kid doesn’t love Super Why? I’m not going to write much about it because I’ll have the theme song stuck in my head all day. However, Emma has wanted the Wave and Learn Magic Spelling Wand since Christmas. It was on her list but she didn’t get it. It was $27 around Christmas and now it’s on sale at Amazon.com for only $8.99. That’s 68% off! Plus, FREE shipping with Amazon Prime. I’m so glad I waited, now she will get it for her birthday. This item is suggested for ages 3 and up. If you haven’t seen Super Why yet, check it out. It’s a great kids show on PBS.